Not only does today mark the start a new calendar month, but it also marks the passing of the first half of the year… Is anyone else a little astonished by this fact? 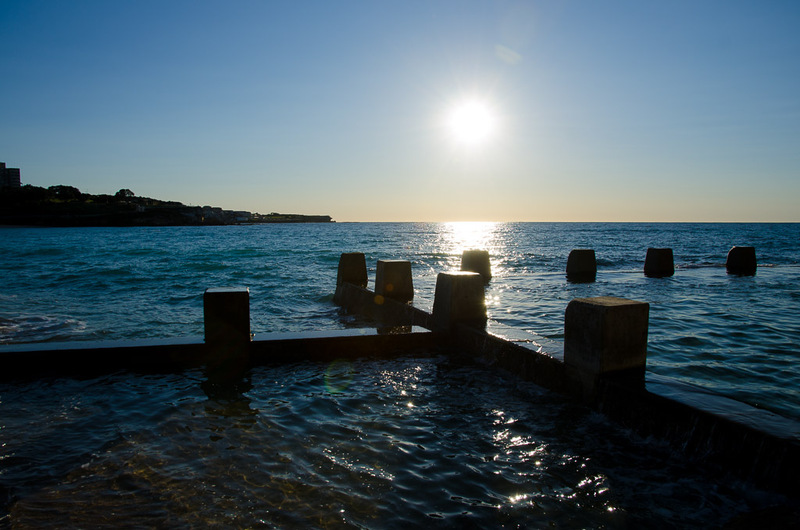 Back when I was a child and summer holidays seemed to last a lifetime, I found it impossible to understand the bewilderment my parents expressed in just how fast another year had passed. And now, here I am, scratching my head and feeling that same sense of bewilderment. 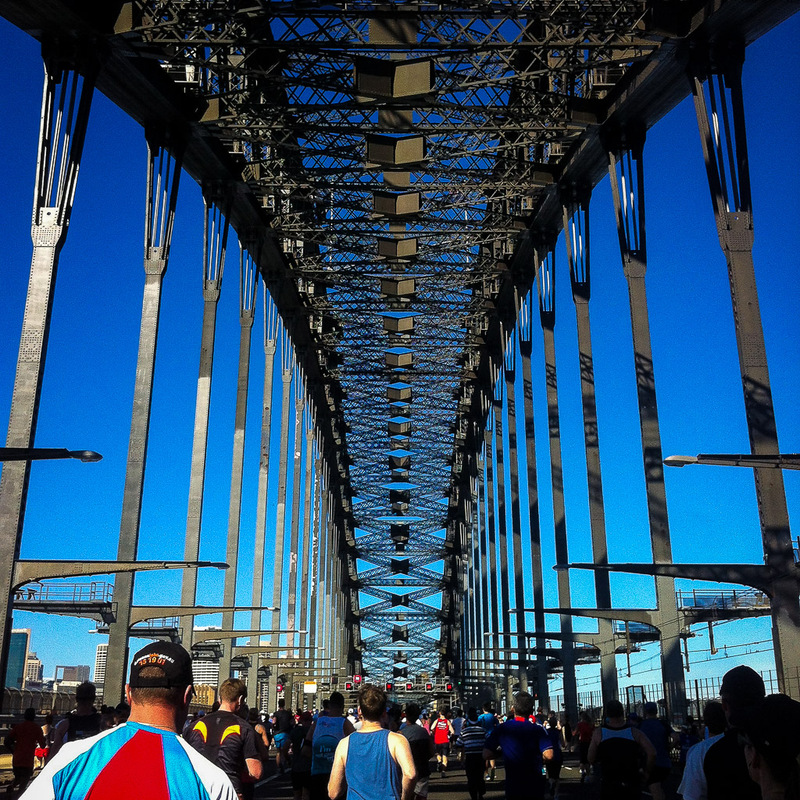 Personally, the first half of 2015 has been a bit of a whirlwind, which swept me along in a flurry of events and change with little time to pause. Until last week that is, when I finally found myself with Time. Spare time. Enough spare time in fact to organise a rather impromptu trip to Singapore to visit a very dear friend of mine, Lara and her lovely husband, Steve. Although I’ve passed through Singapore more times than I can recall during my trips to and from the UK and Australia over the past decade, until last week I’d never left the airport. 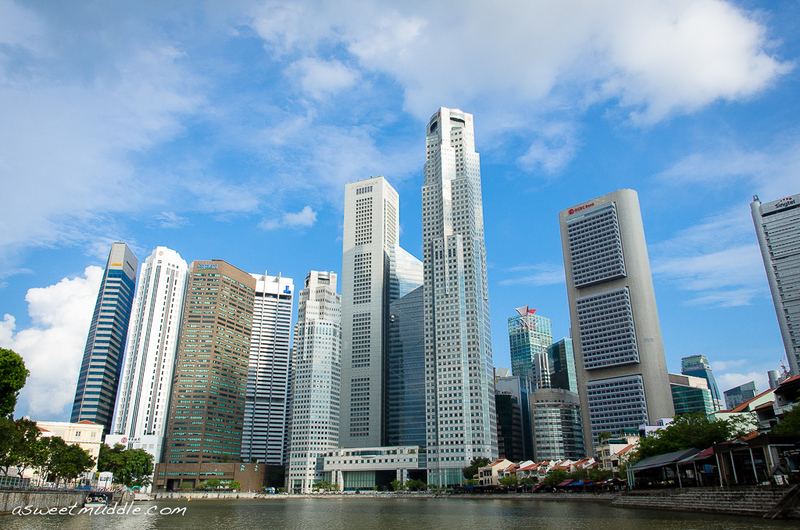 Having little prior knowledge of this Island nation and city, I was happy to see a side of Singapore that my friends enjoy and live during the time that they’ve made Singapore their home, rather of seeking out all of the obvious tourist sights. I feel very thankful to have such gorgeous friends, not to mention generous hosts. 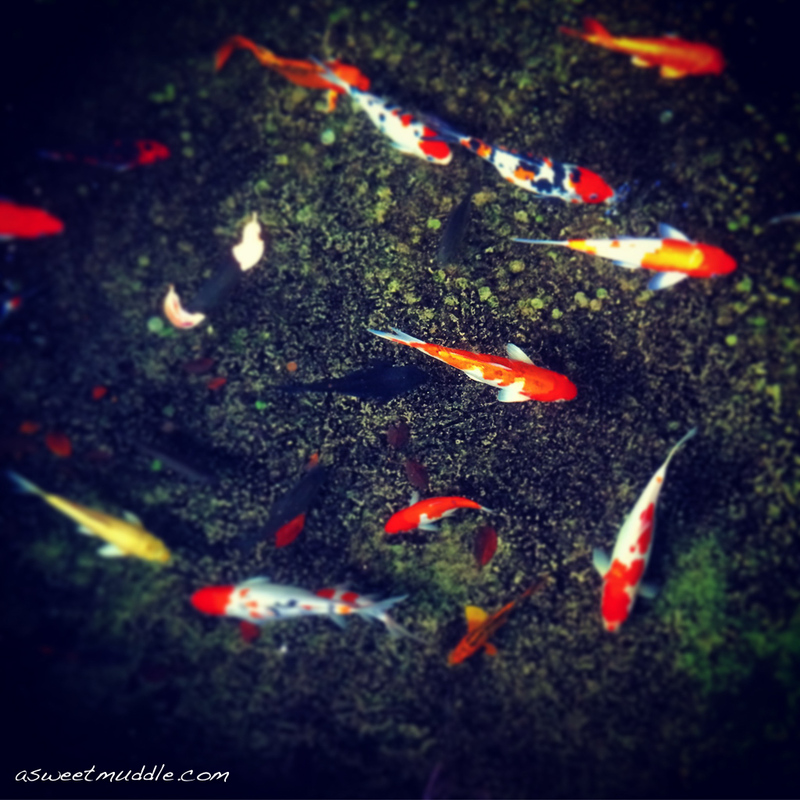 Here is a collection of some of the moments caught on camera during my sojourn in Singapore. A view back towards the city and Boat Quay from the Singapore River. 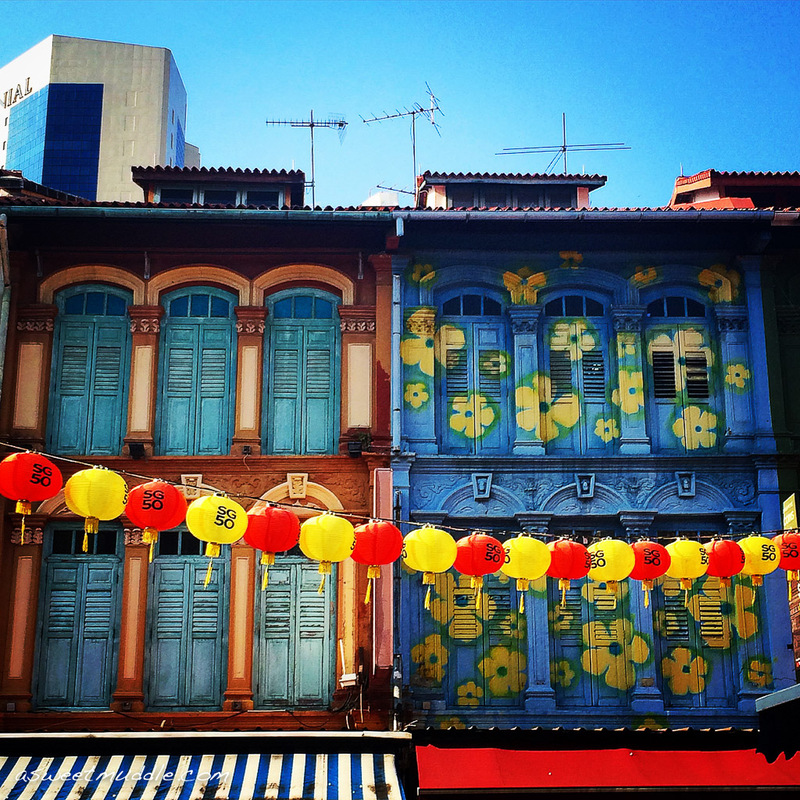 A couple of brightly painted Shop Houses in Singapore’s Chinatown district. 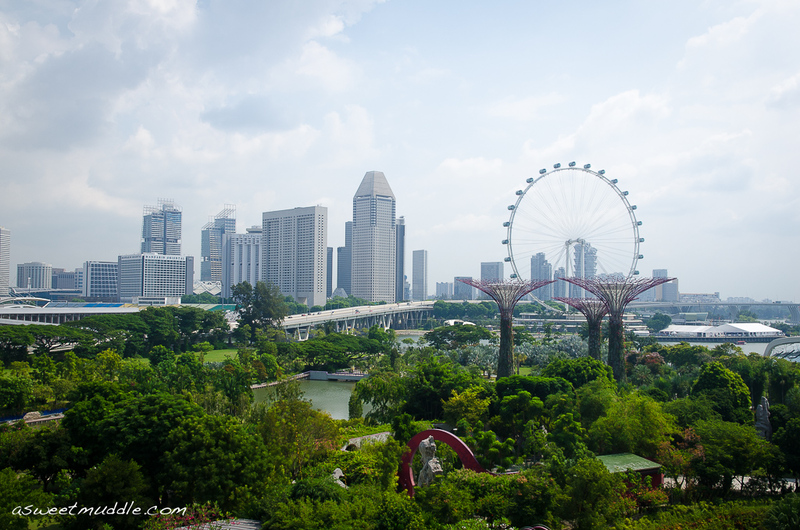 A view of Singapore’s skyline, enjoyed from atop of Gardens by the Bay’s futuristic Supertree Grove walkway (with another 3 Supertrees in the foreground). 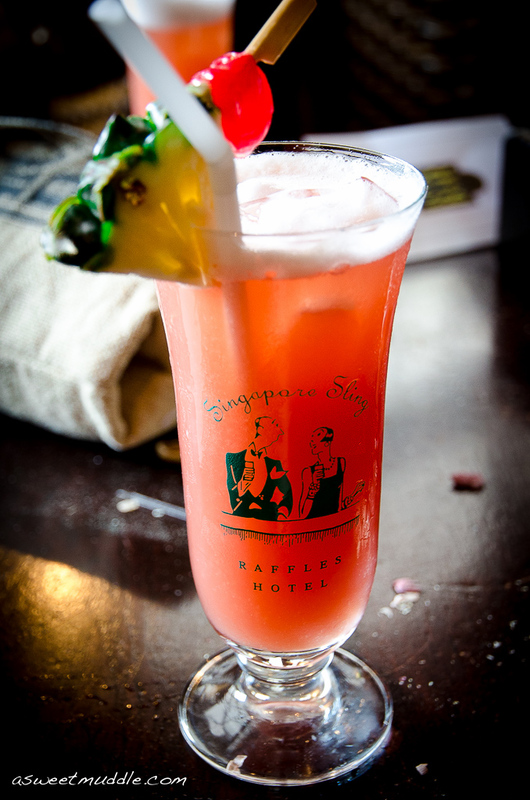 Enjoying a cooling cocktail at the Long Bar, Raffles Hotel (home of the Singapore Sling). 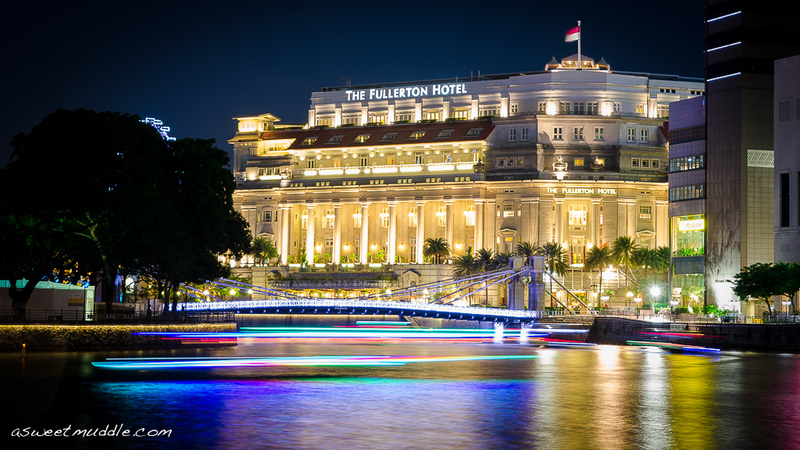 A view of Singapore’s glamorous Fullerton Hotel enjoyed from the banks of Boat Quay. 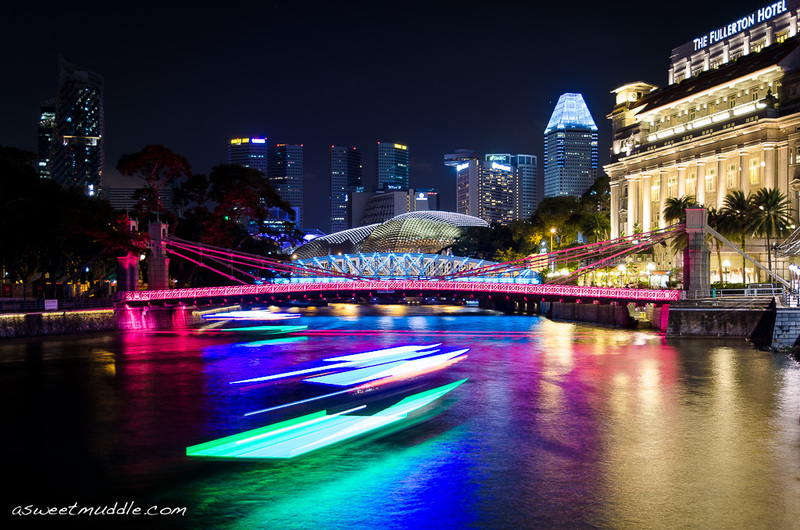 Another view of the Singapore River by night, with Cavenagh Bridge in the foreground and the The Esplanade Theatres (said to resemble the durian, a popular but very smelly tropical fruit) in the background. 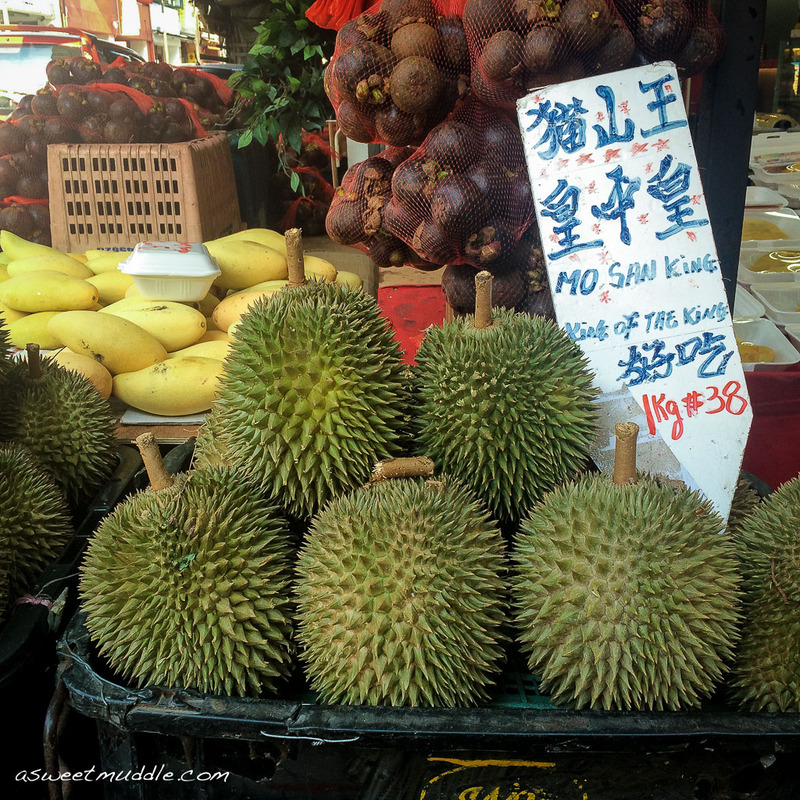 Above mentioned durian for sale by a local street vendor. 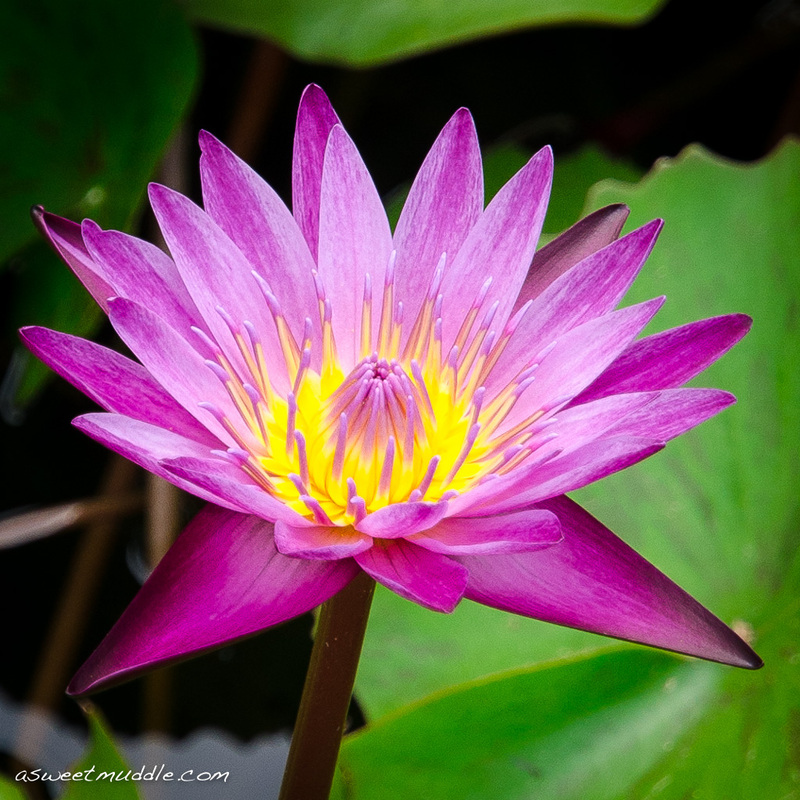 A relaxing wander around the beautiful Singapore Botanic Gardens. I hope you’ve enjoyed the brief armchair tour of Singapore, now I’d best start unpacking! 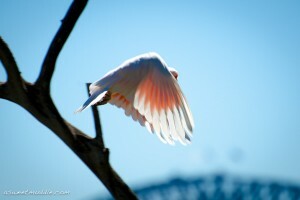 Happy hump day my friends and enjoy the rest of you week.